In my last sauerkraut recipe, I added some ground burdock root. I love burdock for its nutty taste and for its healing properties. You may know burdock more as a common weed, and an annoying one at that. If you have dogs or cats that venture outdoors, you have likely seen the fruits of the plant, aka burs, even if you haven’t been acquainted with the plant itself. Rosalind: How full of briers is this working-day world! Burdock’s root is most commonly used for both healing and culinary purposes, not the annoying fruits of the plant. It is often available at several of my local health food stores, and I imagine it’s also easy to find in asian markets because burdock is a common ingredient in Japanese kinpira recipes. 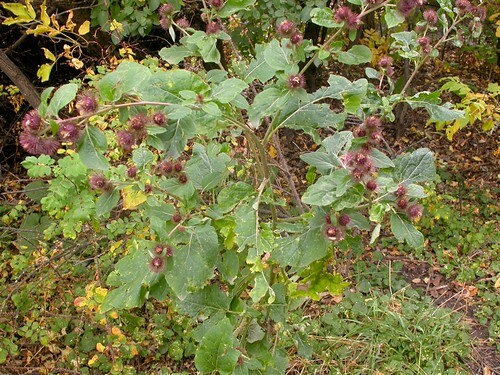 Burdock is considered a bitter, aka it stimulates the digestive juices and whets the appetite. It is most known as a treatment for skin problems like eczema and psoriasis. For a therapeutic dosage, Hoffman recommends that you should drink at least three cups of burdock tea per day, prepared by using 1 tsp of the root simmered for 10-15 minutes in a cup of hot water. It is also possible to apply the root to the skin in external preparations, either in the form of the same tea or by expressing the sap of the root and mixing it with an oil base to desired consistency (Thanks once again to David Hoffman’s Holistic Herbal for the specific herbal info. See my bibliography). Cut 2 carrots and one generous burdock root into matchsticks (slice them on a steep diagonal, and then cut the diagonals again lengthwise). Sautee the burdock in a little bit of sesame oil for about 3 minutes, then add the carrot and saute 3 minutes longer. Add water to cover half the veggies, and a splash of soy sauce. Cook, uncovered until the water cooked off, adding a generous portion of grated ginger to the mix towards the end of the cooking time. If desired, garnish with toasted sesame seeds. I should call this my flavor of the month, because it’s what I’ve been drinking the most of lately. Rooibos definitely stands out flavor-wise in this mellow herbal concoction. 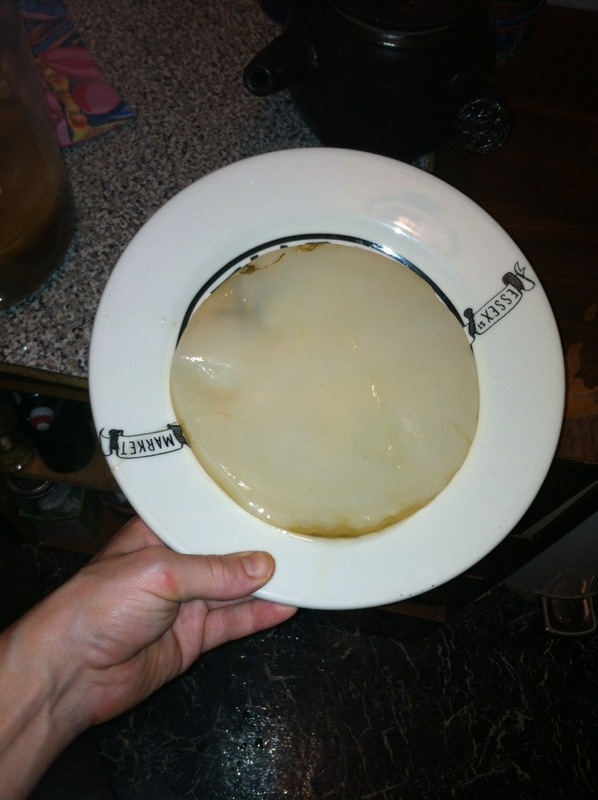 This recipe uses the Jun 101 basic brew instructions as its primary fermentation process. You are NOT brewing Jun with rooibos tea. Jun is always brewed with green tea and honey. Once you finish the primary ferment, you can add whatever flavors you want to. 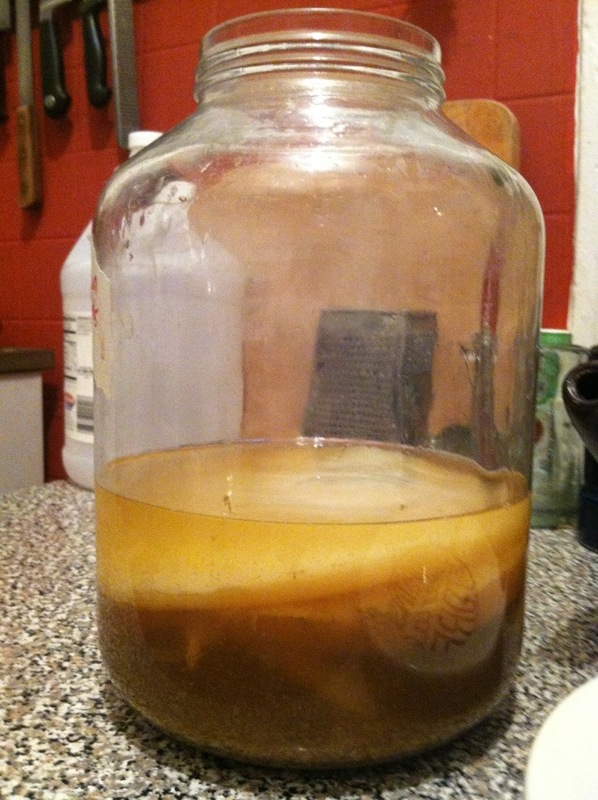 Bottling the Jun and leaving it out at room temperature for a while will create a secondary ferment. This helps the flavors of the herbs to sink in, and allows the brew to build up some bubbles. Pour your plain, already fermented Jun (see Jun 101 for details) over the herbs, seal the bottle and let sit for a day or two. Strain your bottle into a glass as you drink it at room temp or chill in the refrigerator. Rooibos, or African red bush. photo credit: Wikipedia. 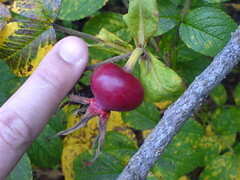 Rose Hips are collected in the autumn. They are the fruits of the Dog Rose. Rose hips are one of natures best sources of Vitamin C, and much of their medicinal value is because of the content of this nutrient. 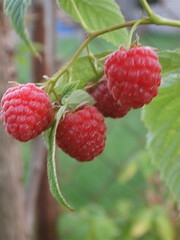 They aid the body’s immune defenses, help with constipation, and with probelms of the gall bladder, kidneys, and bladder. Rooibos, or african red bush tea is a popular drink these days for people who like drinking tea but don’t want caffeine. My herb books actually don’t include rooibos as a medicinal herb, but it is apparently high in anti-oxidants. Wikipedia claims that it helps with allergies, nervous tension and digestion.